Minkova has been a Kazarow scholar at the University of Geneva (1990-1991) and a DAAD scholar at the University of Heidelberg (1995-1996). She has authored three book monographs: The Personal Names of the Latin Inscriptions from Bulgaria (Peter Lang, 2000); The Protean Ratio (Peter Lang, 2001); Introduction to Latin Prose Composition (Bolchazy-Carducci, 2007), as well as published a translation of John Scotus Eriugena’s De divisione naturae (Sofia 1994). Minkova has also published numerous articles on Latin medieval philosophy (recently on the 12th century cosmologists Bernardus Silvestris, Alan of Lille, and Johannes de Hauvilla), Latin literature, Latin composition, and Latin pedagogy. With her colleague T. Tunberg, Minkova has co-authored four books: Readings and Exercises in Latin Prose Composition (Focus, 2004); Reading Livy’s Rome. Selections from Livy, Books I-VI (Bolchazy-Carducci, 2005); Mater Anserina. Poems in Latin for Children (Focus, 2006); Latin for the New Millenium, an introductory Latin textbook (Bolchazy-Carducci, two volumes, 2008-2009). Minkova has recently prepared a College Exercise Book based on Latin for the New Millennium (Bolchazy-Carducci, 2012). She is currently working on a critical anthology of Neo-Latin texts. Minkova is an associate director of the Institute for Latin Studies at the University of Kentucky, in which students study the entire history of Latin from ancient to modern times and where classes are conducted in Latin. Together with T. Tunberg, Minkova conducts various seminars and workshops in active Latin throughout the United States, as well as abroad. 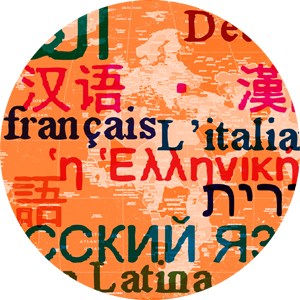 Minkova is an elected fellow of Rome based Academia Latinitati Fovendae, the primary learned society devoted to the preservation and promotion of the use of Latin. University of Sofia, M.A. in Classics 1988. University of Sofia, Ph.D. in Classics 1992. Pontifical Salesian University, M.A. in Christian and Classical Philology 1993. Pontifical Salesian University, Ph.D. in Christian and Classical Philology 1995.